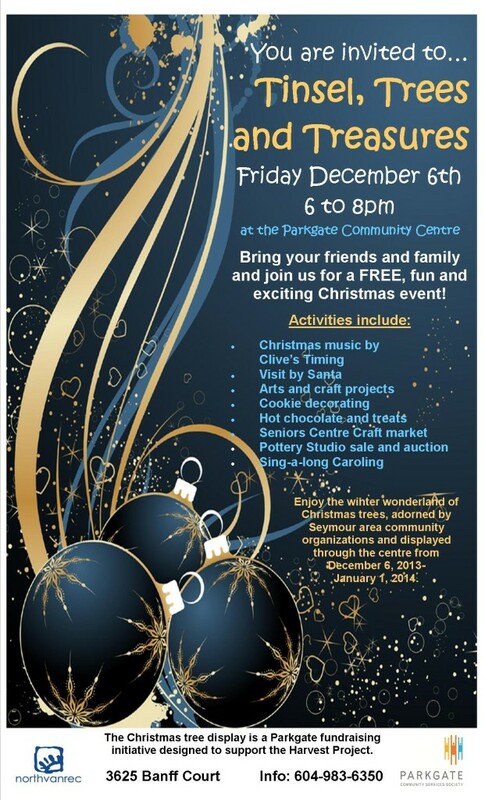 Did you know that the Blueridge Community Association is sponsoring a tree at the Tinsels, Trees and Treasures event at Parkgate Community Centre? The decorations for the tree (and the decorating) will be done by students of Blueridge Elementary School. Come and see the tree unveiled on Friday, December 6th at 6:00 pm. The tree will remain in the Parkgate lobby until January 1st.